Together Baton Rouge has come out strongly against plans by two Baton Rouge-area lawmakers to file legislation that would return full authority over the Industrial Tax Exemption Program to the state. State Sen. Mack “Bodi” White, R-Central, and Rep. Franklin Foil, R-Baton Rouge, will co-file the bill in the upcoming legislative session, beginning April 8, which would essentially restore the process in place before Gov. John Bel Edwards’ 2016 executive order gave local governments a say in granting the property tax exemptions. 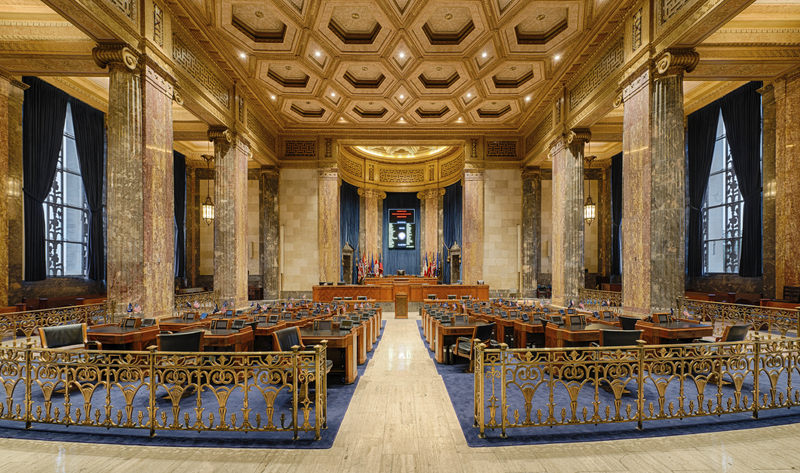 Community group Together Baton Rouge, which has led the crusade to rein in ITEP, condemned the effort, declaring it would reinstate the old process of having the state decide whether to exempt local property tax dollars, with no say from local governments. “The idea of giving that power back to the state is unconscionable and ludicrous,” says Dianne Hanley, a volunteer leader with Together Baton Rouge. For more than 80 years, before Edwards changed the rules, the state had the sole authority to grant ITEP requests, which gave manufacturers lucrative local property tax breaks. Hanley says Louisiana was the only state in the country that did this without local approval. White, in a statement announcing the bill, specifically cites the East Baton Rouge Parish School Board’s recent rejection of two ExxonMobil ITEP requests, which prompted the company to withdraw the applications and question future growth in Baton Rouge. Hanley, however, says just because local governments made a decision some don’t agree with doesn’t mean the new ITEP rules should be overturned. ITEP in Louisiana remains “incredibly generous,” says Edwards spokesperson Christina Stephens. In other states, including Texas, local approval of these type of exemptions is required and property taxes for education are almost never part of the exemptions. The question for the lawmakers proposing the change is how will they do it? ITEP is created and authorized under the state constitution, which gives the governor and the state Board of Commerce and Industry control over the program. Unless the legislators find another way around it, changes to ITEP could require a constitutional amendment, which must pass with a two-thirds vote of the Legislature and a simple majority vote of the public. The governor cannot veto constitutional amendments.